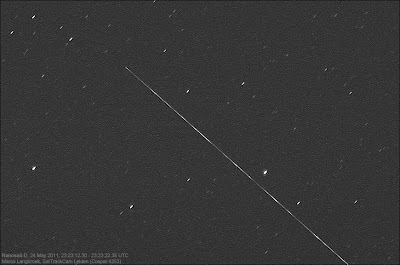 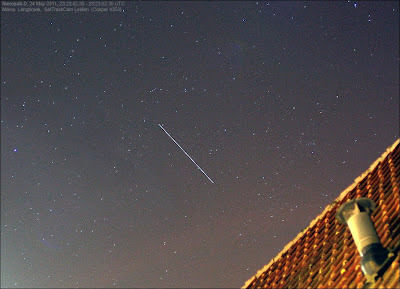 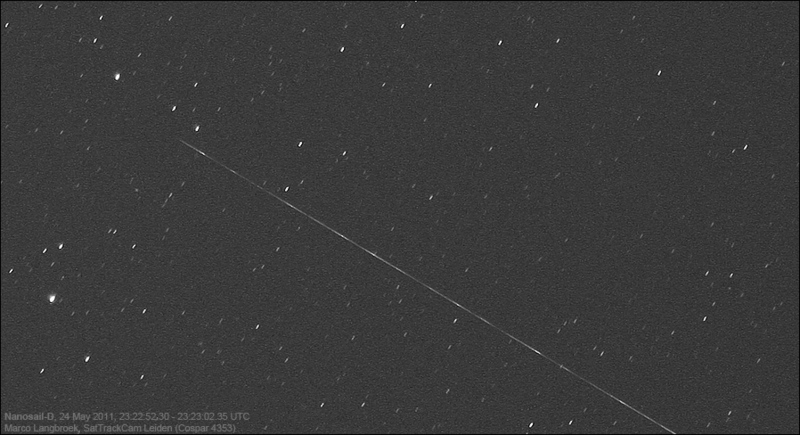 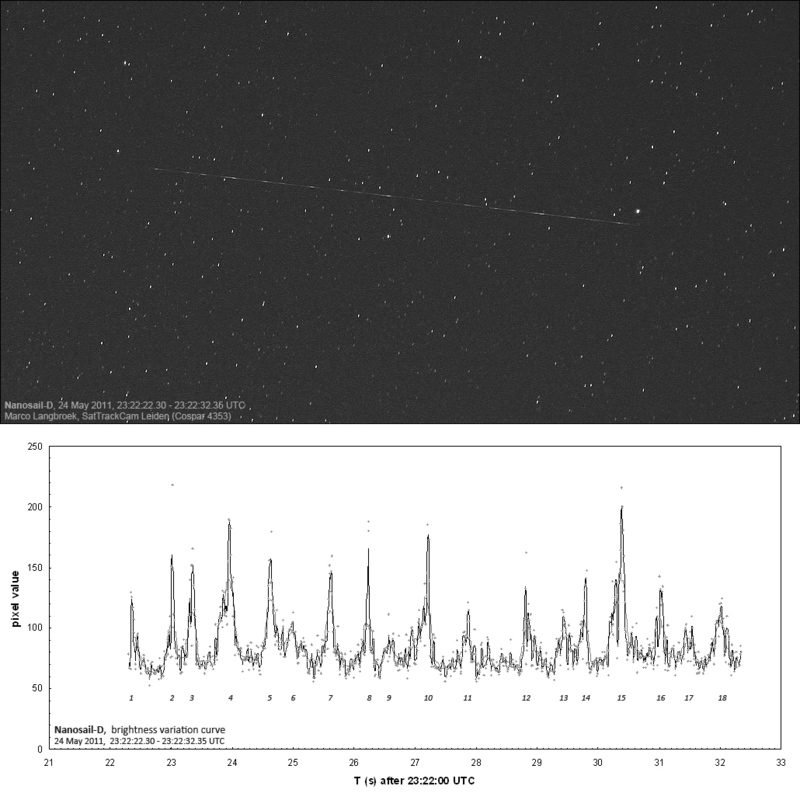 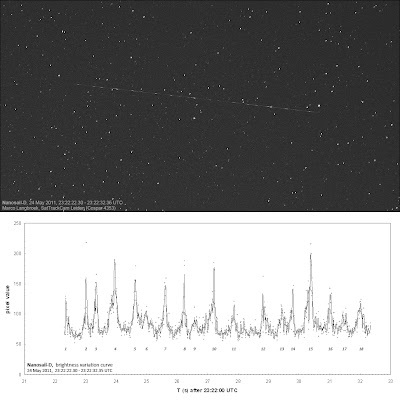 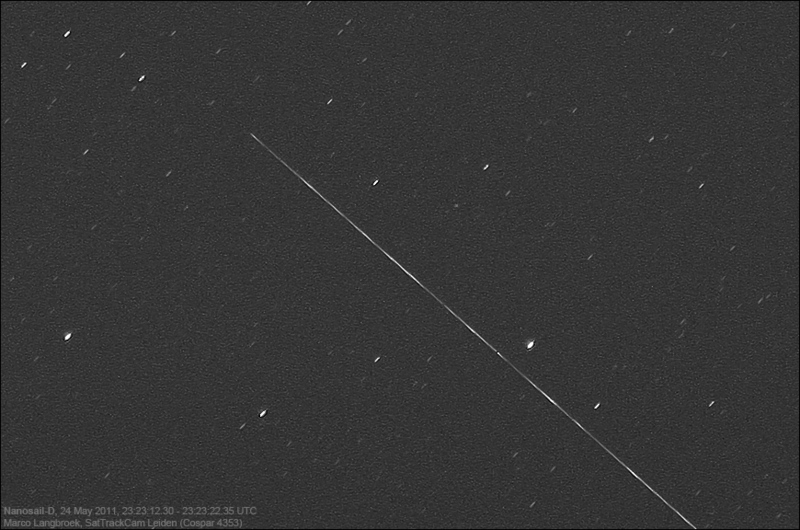 SatTrackCam Leiden (b)log: Nanosail-D: a spectacular show of bright flashes! 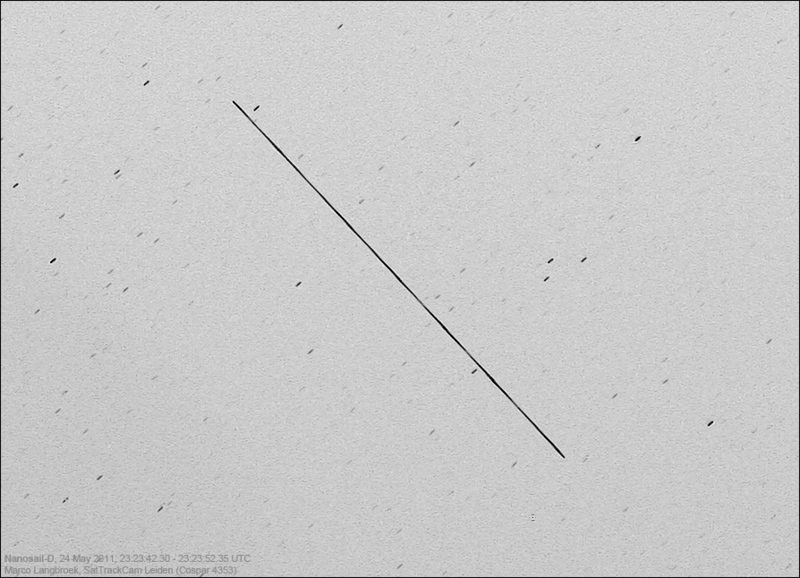 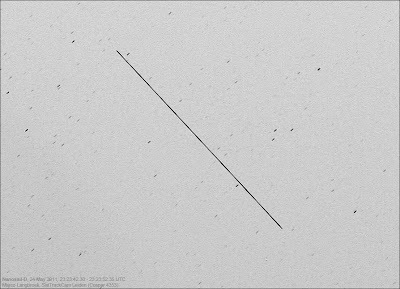 Last night I finally was able to capture Nanosail-D (10-062L), the NASA experimental solar sail. 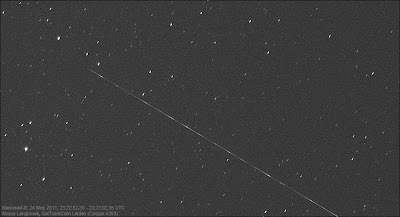 It put on a spectacular show, flashing rapidly, becoming an easy naked-eye object after culmination when it reached magnitude +1.